We have had our beautiful pool deck for over a year now and would like to thank you. When we started researching our new pool and pool deck, we knew that we wanted to create an outdoor entertaining area that was unique and one where we could experience many happy occasions on. As a result, we both put a lot research into finding a quality, affordable and experienced deck builder who could custom design our project and turn our dream into a reality. We spent many hours putting out our feelers and one name kept popping up. Designer Decks. It’s not easy for a business, which started on the Gold Coast to survive for over 14 years and not have a single negative comment, but that’s exactly what happened when we looked for reviews. So we took our dreams to Darrell at Designer Decks and he was able to turn them into reality. We found the personalised service from Darrell at Designer Decks to be exceptional. Our composite decking around our new pool was designed and built without any stress, from the initial meeting with Darrell until handover. No request was too difficult as Darrell was a great communicator and a very experienced deck builder. We could not be happier with our spectacular deck that our whole family has enjoyed and will continue to enjoy in the years ahead. We would thoroughly recommend Designer Decks. 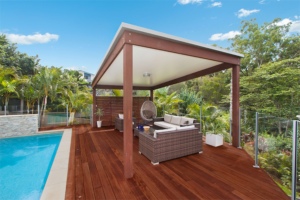 There are few words that could describe the gratitude we have towards Darrell and his team at Designer Decks, for their professional workmanship and services to us recently in the completion of both outdoor and indoor projects at our residential address in Runaway Bay, on the Gold Coast. Initially we contacted Designer Decks to replace our pool decking. 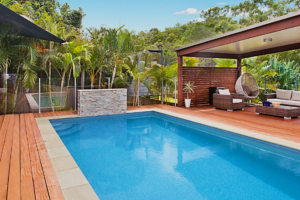 However, we were so impressed that we also employed them to build an outdoor room, retaining walls, fences, garden beds, pontoon decking, several timber verandas and then a complete home interior renovation. All of the above construction projects were achieved using a similar quality of material, workmanship and attention to structural and aesthetic design detail that created a seamless flow between indoor and outdoor spaces. Darrell’s skills as a project manager were many, particularly his accuracy with costings and timeliness. His frequent updates kept us informed of unforeseen problems, enabling solutions to keep the building works on schedule. To this end, Darrell’s knowledge and investigative abilities to keep costings low were gratefully appreciated. Darrell’s attributes were equally matched by the talents, knowledge, ethos and hard work of his team, particularly Sam. 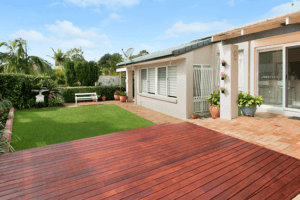 With complete confidence we can recommend the professional services of Designer Decks – who delivered with integrity and reliability, the highest quality result, at all times. Thank you Darrell, Grant and the team at Designer Decks. I can’t say enough about your professionalism from our very first meeting through to completion. You made it look so easy and certainly took all the stress out of the build. You put up with our decision changing, site access problems and our high expectations with good humour and spirit. It was evident from the outset that you took great pride in your work and that you certainly are a company that cares. 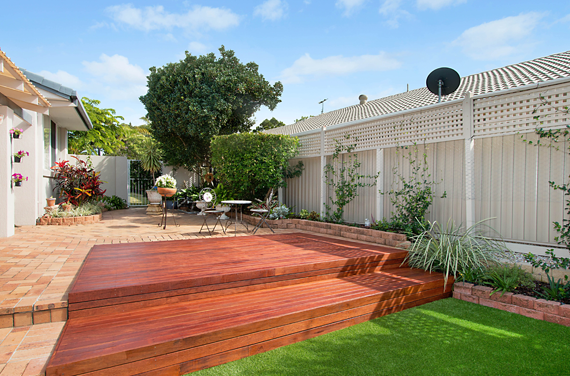 I recommend anyone thinking of building an outdoor room to give Designer Decks an opportunity. As no problem was too big or too small and the workmanship was genuine quality and simply first class.  We’re extremely happy that we chose Designer Decks to build our outdoor room. Thanks and thanks again, you were brilliant. Wade and I have no hesitation in recommending Darrell, Grant and the Designer Decks team as quality builders of our outdoor room. Darrell and his team at Designer Decks have been contracted to do work at my house on two occasions now. In the first instance, the team at Designer Decks, initially designed up a custom pool deck with a proposed patio. At the time I gave Designer Decks the go ahead on the pool decking works only. During the build of the pool decking works, the team at Designer Decks were extremely competent, professional and very organised. At the completion of the pool deck, I was extremely happy with the design, build and overall quality of the job. The team at Designer Decks also left the job site very clean at all times. However, within one year I had no hesitation in getting Designer Decks back to build the patio that really complemented our pool deck. The design, materials and attention to detail meant that the completed patio, left me wondering why I did not go with the overall design in the first place. I will not try to be too gushing, however it goes without saying that I’m very happy indeed. Darrell’s team were even more accommodating and cleaner the second time. Absolutely nothing was any trouble. I should also note that Designer Decks were the only ones asked to re-quote on the patio. I would endorse their workmanship and contract them in the future, if the need arises. We decided not to build the boardwalk “in house” as this was a major sized boardwalk and was using a product that we had not worked with previously (ie the Wagners composite fibre material). All cuts to the Wagners composite fibre material were primed to prevent osmosis. In summary, the supply and construction of the Wagners composite fibre boardwalk by Designer Decks Pty Ltd was successfully built on time. As such, I would have no hesitation in using their services on any future boardwalk or carpentry projects. Recently, the redevelopment of Jack Evans Boat Harbour won the top award at the Australian Institute of Landscape Architects NSW Award for 2011 as well as the Master Builders Civil Contractor of the year. 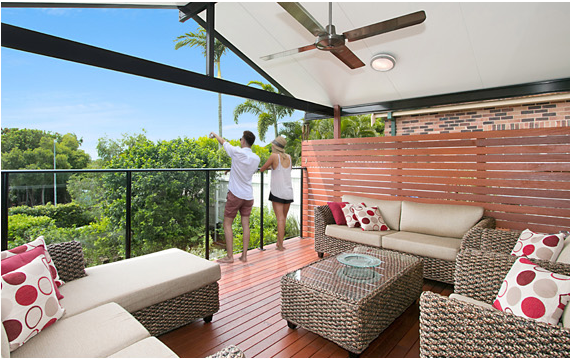 This is confirms that I have been providing building services certification services to Designer Decks Pty Ltd and their clients on the Gold Coast and Tweed Shire region for the last 13 years. 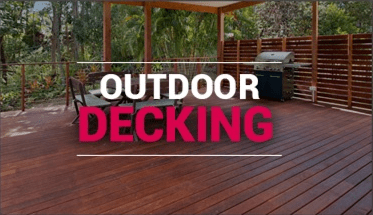 In that time, I have noted that Designer Decks are one of the leading deck builders, patio builders and outdoor rooms builders and can confirm that their work is of the highest quality. I have been particularly impressed with their attention to detail and commitment to ensuring their final product not only meets the Building Code and Legislation requirements, but their team on site also display a capacity to foresee building issues before they arise and are consistently able to provide a suitable outcome for all parties. I have no hesitation in recommending Designer Decks Pty Ltd for any deck, patio or outdoor room construction project. 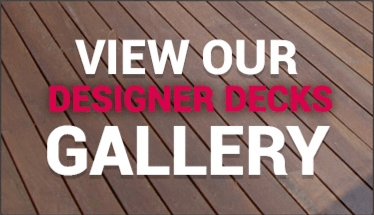 We chose to build our custom designed, merbau decking and patio with Darrell and his team at Designer Decks. From the design point through to the finished project, Darrell and his team were professional and informative. The build site was at all times kept neat and tidy (an observation noted by our neighbours as well). 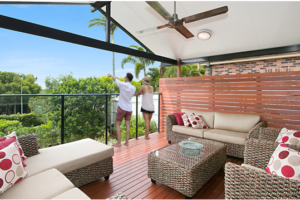 We are very confident that we will spend many happy hours entertaining and relaxing on our new outdoor area, which complements our newly built home beautifully. If you are looking to engage an experience deck builder or patio builder, in any price category, you have found your builder. Great service and value. Our thanks to the team. We have used Darrell and his team at Designer Decks on three occasions now. Initially, on the first occasion, we were so impressed with Darrell’s professionalism and way of doing business that we never bothered to speak to any other deck and patio builders. Nothing is ever too much trouble. On all three occasions, Darrell’s team all understand Designer Decks unparalleled commitment to quality, demanded by the company, and have always been willing to meet these high standards. Both my wife and I run a business and know the importance of integrity, honesty and trust. The Designer Decks team, being a family business, stand true to all these qualities. In fact, together with their dedicated team of deck builders (and we have had a separate deck building team on each occasion), have the “Care Factor”. At every stage of the build, you are kept in the loop. Every one of the three occasions that we have engaged Designer Decks, they have delivered an outstanding result. Everyone knows stories of unhappy building projects, but for us, we knew every detail before and during the build, so there are never any hidden surprises. 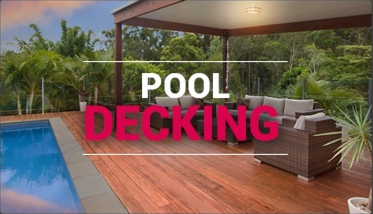 We could not be happier using Designer Decks for decking, patio or outdoor room construction. So why would you build with anyone else? We advise that Designer Decks have recently performed on two projects where Wagners Composite Fibre materials have been used extensively. The projects known as the Jack Evans Boat Harbour Boardwalk at Tweed Heads and the Maroochydore Wetlands Sanctuary Boardwalk at Bli Bli had the Wagners composite fibre material elements assembled and constructed by Designer Decks. Both commercial boardwalk projects were efficiently project managed, with a very high attention to detail. As such, we are proud to have supplied our product and been a part of these successful boardwalk builds. We have thoroughly enjoyed working alongside Designer Decks and believe that they are an extremely organised and component building team in the assembly and erection of boardwalks, specifically using the Wagners Composite Fibre material. Should you require any more information about Designer Deck, please do not hesitate to contact me. As this was our first time building a major structure (ie our existing pool decking and gazebo needed to be replaced with new), we were somewhat bewildered by the task of building the pool deck and gazebo. After consultations with several deck builders and based on positive feedback from a family member who had built with Designer Decks previously, we were very comfortable trusting the project to Darrell and the Designer Decks team. We felt that Designer Decks stood head and shoulders above the rest as their knowledge and practical insight were impressive and reassuring. They were more than happy to oversee the entire project from demolishing the existing structures to building the new pool deck, pool fence and gazebo. This initial impression remained true throughout the entire project. All the team at Designer Decks showed a high degree of workmanship and carpentry / building skills. Darrell, your honesty, integrity and knowledge before, during and after completion was second to none. We were also extremely impressed by your willingness to assist us the lighting both for the gazebo and also in the surrounding garden area. Darrell and the Designer Decks team made an anticipated daunting task and turned it into a well organised, structured and hassle free experience, and one that I will never forget. 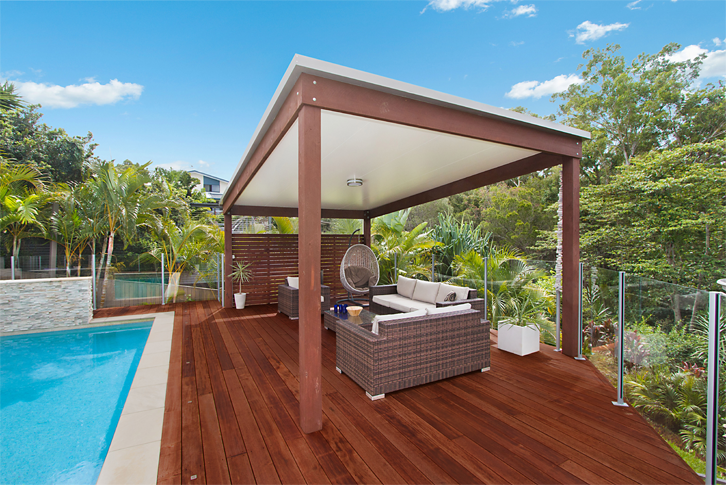 We cannot recommend Designer Decks highly enough for anyone looking to build a pool deck or gazebo. You guys are simply great. Thanks for building our dream outdoor entertaining area. Having recently moved the family up from Sydney and having heard several times that the Gold Coast tradies had its share of cowboys, we were not really looking forward to organising quotations and the getting it done. However, from our initial consultation with Darrell, we felt confident and this was a big factor in our decision to go ahead with Designer Decks. Darrell was exceptional and built an excellent relationship with us from day one and maintained it throughout the building works. Darrell provided answers (in layman terms that we could understand), advice, guidance and solutions to all our many and varied questions. We constantly get compliments from family and friends when we are entertaining on our outdoor entertainment area. They normally comment the openness and seamless design plus the high quality finish and workmanship, which is a tribute to the experience, quality and skill of your team.